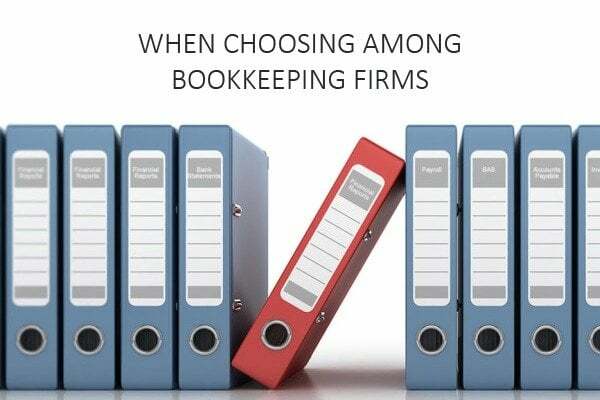 It’s very important to choose wisely when it comes to bookkeeping firms United Arab Emirates. There is no way a business can develop without appropriate bookkeeping. Bookkeeping is indeed the heart of any business entity and thus must be taken earnestly. It is particularly significant to small businesses as it enables the owners to know precisely what is going on in their business and be able to gauge opportunity and growth. It is advisable for businesses to outsource these services to s professional bookkeeping firm. There are several bookkeeping firms in United Arab Emirates, therefore finding a provider that offers services suited to your business is very important. The most important thing to consider when choosing a bookkeeping provider is their level of professionalism. The skill level of the individuals working at Bookkeeping Firms in Dubai is essential to consider when choosing a company. Professionalism should be measured in terms of experience. The bookkeeping provider have both experienced and knowledge in his field.You must also take into account the technological expertise of the provider you choose. Whereas a number of firms still apply manual bookkeeping, it’s impossible to sideline technology in modern times. A bookkeeping provider must have all the necessary technological proficiency to perform bookkeeping services, assumed that accounting in this modern era relies on speed and accuracy. Another important consideration is the level of support services. This is crucial as its possible to run into some difficulties when dealing with your records. A good bookkeeping provider should therefore be readily available to help you out in case the need arises. The speed at which a provider delivers his or her services is crucial. It’s well documented that a business can save money by outsourcing its bookkeeping to Farhat Office & Co It eliminates the need for employing several individuals to maintain the daily activities of bookkeeping. By parting with a small amount of money, a business will have its activities updated professionally and timely.